Deep learning is one of the hottest subjects in the field of computer science these days, fueled by the convergence of massive datasets, highly parallel processing power, and the drive to build increasingly intelligent devices. Deep learning is described by Wikipedia as a subset of machine learning (ML), consisting of algorithms that model high-level abstractions in data. As depicted in Figure 1, ML is itself a subset of artificial intelligence (AI), a broad field of study in the development of computer systems that attempt to emulate human intelligence. Figure 1. Relationship of deep learning to AI. Intel has been actively involved in the area of deep learning though the optimization of popular frameworks like Caffe* and Theano* to take full advantage of Intel® architecture (IA), the creation of high-level tools like the Intel® Deep Learning SDK for data scientists, and providing software libraries to the developer community like Intel® Data Analytics Acceleration Library (Intel® DAAL) and Intel® Math Kernel Library for Deep Neural Networks (Intel® MKL-DNN). Intel MKL-DNN is an open source, performance-enhancing library for accelerating deep learning frameworks on IA. Software developers who are interested in the subject of deep learning may have heard of Intel MKL-DNN, but perhaps haven’t had the opportunity to explore it firsthand. The Developer's Introduction to Intel MKL-DNN tutorial series examines Intel MKL-DNN from a developer’s perspective. Part 1 identifies informative resources and gives detailed instructions on how to install and build the library components. Part 2 of the tutorial series provides information on how to configure the Eclipse* integrated development environment to build the C++ code sample, and also includes a source code walkthrough. 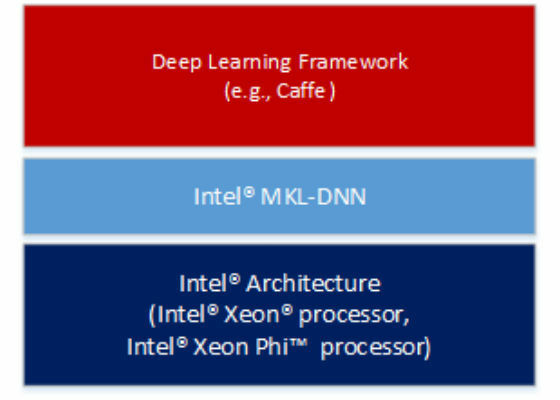 As depicted in Figure 2, Intel MKL-DNN is intended for accelerating deep learning frameworks on IA. It includes highly vectorized and threaded building blocks for implementing convolutional neural networks with C and C++ interfaces. 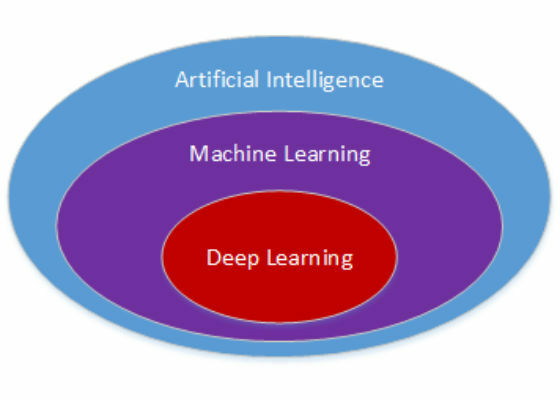 Figure 2.Deep learning framework on IA. Primitive - any operation, including convolution, data format reorder, and memory. Primitives can have other primitives as inputs, but can have only memory primitives as outputs. Engine - an execution device, for example, CPU. Every primitive is mapped to a specific engine. Stream - an execution context; you submit primitives to a stream and wait for their completion. Primitives submitted to a stream may have different engines. Stream objects also track dependencies between the primitives. A typical workflow is to create a set of primitives, push them to a stream for processing, and then wait for completion. Additional information on the programming model is provided in the Intel MKL-DNN documentation. 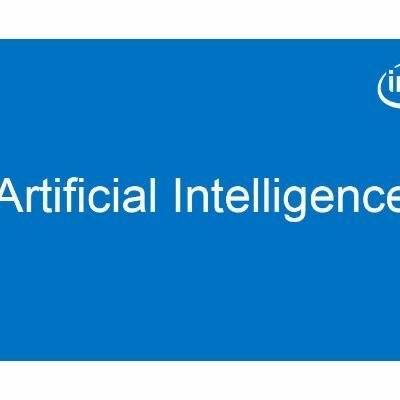 There are a number of informative resources available on the web that describe what Intel MKL-DNN is, what it is not, and what a developer can expect to achieve by integrating the library with his or her deep learning project. Intel MKL-DNN is an open source library available to download for free on GitHub*, where it is described as a performance library for DL applications that includes the building blocks for implementing convolutional neural networks (CNN) with C and C++ interfaces. An important thing to note on the GitHub site is that although the Intel MKL-DNN library includes functionality similar to Intel® Math Kernel Library (Intel® MKL) 2017, it is not API compatible. At the time of this writing the Intel MKL-DNN release is a technical preview, implementing the functionality required to accelerate image recognition topologies like AlexNet* and VGG*. The MKL-DNN|01.org project microsite is a member of the Intel Open Source Technology Center known as 01.org, a community supported by Intel engineers who participate in a variety of open source projects. Here you will find an overview of the Intel MKL-DNN project, information on how to get involved and contribute to its evolution, and an informative blog entitled Introducing the Intel® Math Kernel Library for Deep Neural Networks (Intel® MKL-DNN) by Kent Moffat. This section elaborates on the installation information presented on the GitHub repository site by providing detailed, step-by-step instructions for installing and building the Intel MKL-DNN library components. The computer you use will require an Intel® processor supporting Intel® Advanced Vector Extensions 2 (Intel® AVX2). Specifically, Intel MKL-DNN is optimized for Intel® Xeon® processors and Intel® Xeon Phi™ processors. GitHub indicates the software was validated on RedHat* Enterprise Linux* 7; however, the information presented in this tutorial was developed on a system running Ubuntu* 16.04. CMake* – a cross-platform tool used to build, test, and package software. Doxygen* – a tool for generating documentation from annotated source code. This script creates a directory named external and then downloads and extracts the library files to a directory named mkl-dnn/external/mklml_lnx*. This step executes a series of unit tests to validate the build. All of these tests should indicate Passed, and the processing time as shown in Figure 3. The GitHub repository contains C and C++ code examples that demonstrate how to build a neural network topology block that consists of convolution, rectified linear unit, local response normalization, and pooling. The following section describes how to build these code examples from the command line in Linux. Part 2 of the tutorial series demonstrates how to configure the Eclipse integrated development environment for building and extending the C++ code example. Figure 4.C++ command-line build using G++. Figure 5.C command-line build using GCC. Once completed, the C application will print either passed or failed to the terminal.